We have all heard the saying “Don’t play with your food,” but no one ever said not to have fun while eating. Themed restaurants across the world offer atmospheres where guests can do just that. Here are suggestions for 10 restaurants in the United States with an array of themes guaranteed to satisfy any group. 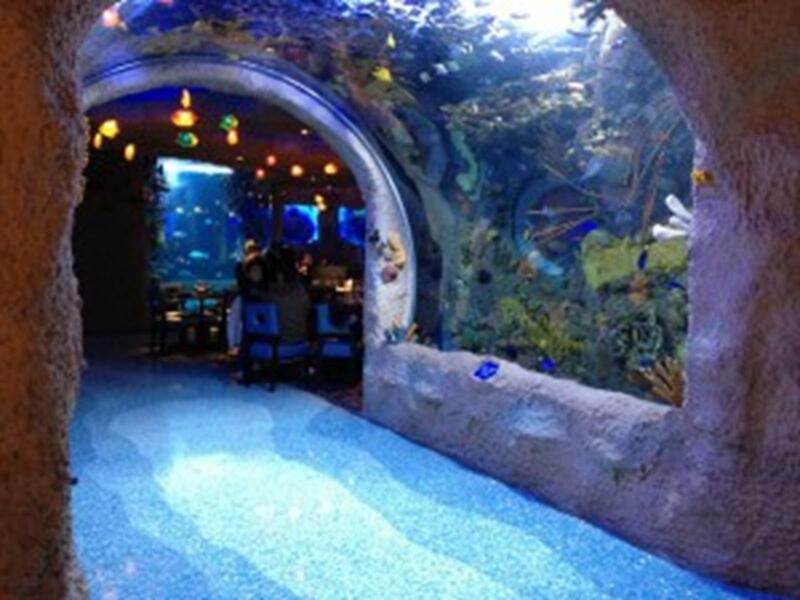 Experience an underwater dining adventure at the Aquarium Restaurant inside Opry Mills Mall in Nashville, Tenn. With over 100 species of tropical fish inside a 200,000-gallon aquarium that stretches from floor-to-ceiling, every table is guaranteed to have an exceptional view. Besides offering the freshest fish, seafood and steaks, the Aquarium Restaurant also offers behind-the-scenes tours where groups can actually go behind the scenes for views of the aquarium not seen by most dining guests, learn about the fish inside the aquarium and talk to the restaurant’s marine biologist. Other Aquarium Restaurant locations include Denver, Houston and Kemah, Texas. Don’t bother looking for signs reading “Safe House” when in Milwaukee because you won’t find any. This spy-themed restaurant is hidden from plain view by a secret entrance through International Exports Ltd. Once inside, guests, referred to as “Secret Agents” will be asked the password. Those who are unsure of the password might be subject to humiliating actions such as acting like a monkey before gaining access. But don’t fret; control never turns away a hungry agent. Menu options include a variety of “Cloak and Daggers” (sandwiches), “Brief Missions” (soups and salads) and numerous “Spycialties.” Every room, including the banquet rooms for large groups, is adorned with spy memorabilia and holds secrets just waiting to be discovered by all who enter. Warning: if you think finding the entrance to Safe House is a puzzling task, wait until you’re ready to leave. Good luck! Located in the Denver suburb of Lakewood, Casa Bonita is more than just a Mexican restaurant; it is an entertainment experience. With over 52,000 square feet, this restaurant can accommodate more than 1,000 guests. Arcade games, puppet shows and even a secret hideout make dining at Casa Bonita an experience to remember. A 30-foot waterfall is a focal point of the restaurant, especially when divers are plunging from cliffs modeled after Acapulco into a pool below. Dining and entertainment packages are available for large groups. A warm welcome is the last thing groups will receive when walking into Ed Debevic’s diner in Chicago. Borrowing the motto “If you like what you’re eating, order more. If you don’t, there’s the door,” the staff at Ed’s—dressed in attire from the ‘50s and ‘60s—serves insults by the plate full. But don’t take it personal, it’s their job. The menu boasts a selection of authentic diner food with several specialty burgers. Groups looking for an offensively good time should certainly check out Ed Debevic’s. Party rooms are available for groups of up to 60 people. Another diner worth visiting is Ellen’s Stardust Diner in New York City. This ‘50s themed diner not only sports décor from the era but also provides a lively staff that sings popular show tunes and dances while guests enjoy their meals. Menu options include themed dishes such as Marilyn’s Burger and the Jerry Lee Lewis Wrap. And don’t forget to check out Ellen’s Sweet Shoppe for a Chubby Checker or old-fashioned banana split. The diner serves breakfast, lunch and diner and offers dining packages for large groups. 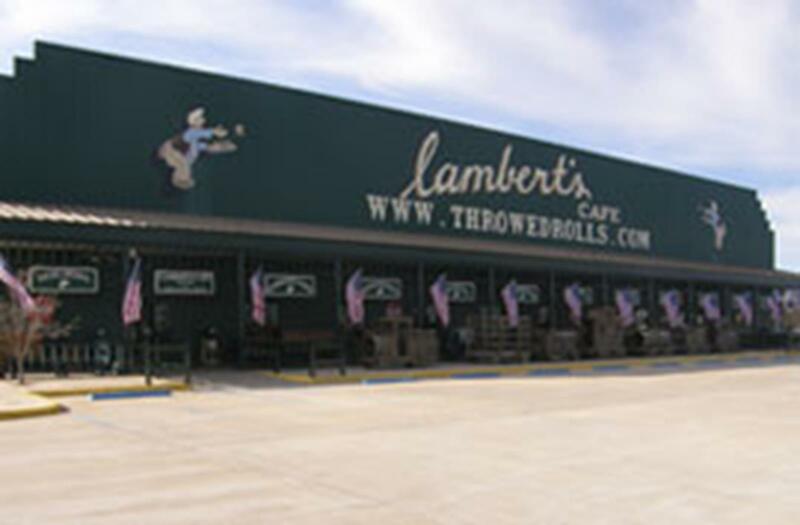 “Come hungry, leave full and have a laugh or two.” That’s the motto at Lambert’s Café, the only home of throwed rolls. Leaving full shouldn’t be a problem with a menu loaded full of beef, chicken, pork and fish options, not to mention the free “pass arounds” of fried okra, macaroni and tomatoes, black-eyed peas and fried potatoes continuously brought to each table for everyone who orders a meal. One thing you won’t find is a bread basket. Keep a lookout for the made-from-scratch rolls thrown straight from a server’s hands to your own. Memorabilia from past to present times decorate the walls and add to the down-home feel of this family-owned restaurant in Sikeston, Mo. Groups can also enjoy Lambert’s Café in Ozark, Mo. and Foley, Ala. Designed as a 14th century village inn, Bors Hede (Boar’s Head) offers a journey back in time to the Middle Ages. Once inside the medieval dining hall, a server brings towels and scented water for guests to wash their hands before eating their meals of pork, chicken, lamb or fish that are prepared from authentic 14th century recipes. Beverages include juice, cider, mead, wine or ale but no coffee, tea or sodas since they were unheard of during this era. Songs and stories accompanied by flutes are performed during the meal. The Boar’s Head Inn is located at Camlann Medieval Village in Carnation, Wash., 40 minutes east of Seattle. The village portrays rural England in 1376 and provides guests with an educational look into the history of medieval times. Workshops on medieval history, crafts and culture are available for groups. Although the Bavarian Inn Restaurant in Frankenmuth, Mich., is famous for their chicken platters and German dishes, they also offer a variety of options for all to enjoy including all-you-can-eat traditional or German meals served family-style. Popular German dishes served are schnitzel, rouladen, bratwurst and potato salad, each made from authentic German recipes. Groups can try their hand at pretzel rolling during the daily demonstrations. Outside the restaurant visitors can continue to enjoy the German atmosphere while strolling through over 40 shops and boutiques built to reflect Bavarian architecture. The restaurant is located on the grounds of the Bavarian Inn Lodge. Step into prehistoric times at the T-Rex Café located at Downtown Disney in Lake Buena Vista, Fla. Guests can find dinosaur fossils at the Discovery Dig area, search for secrets of the past at the Paleo Zone and pan for precious treasures at Discovery Creek. In addition to all the fun activities available inside the café, T-Rex Café offers “food for the mind” educational tours that can be scheduled for groups dining at the restaurant. With selections from Triassic Tortellini to Bronto Burgers, the menu has something for every appetite. T-Rex Café can also be found in Kansas City, Kan. 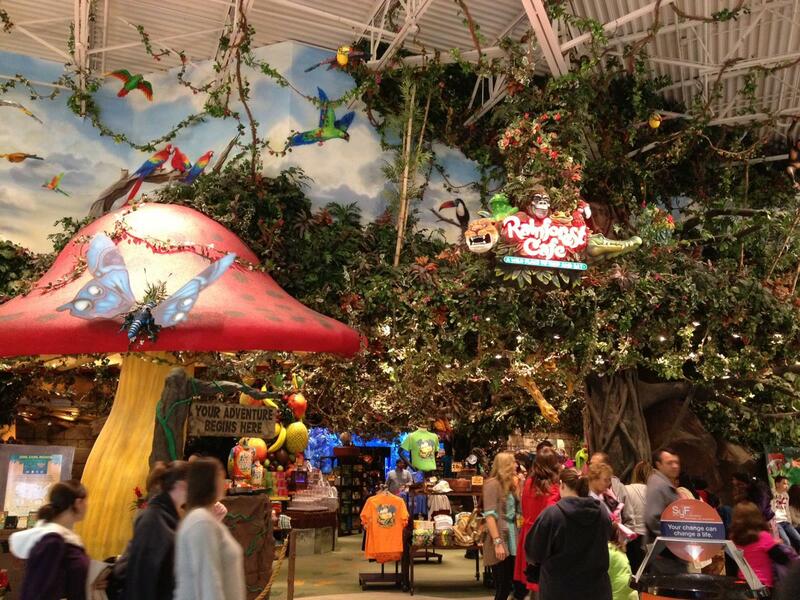 Dining at a Rainforest Café is easy with more than 20 locations across the United States and even six abroad. Each location is designed to showcase aspects of a rainforest including large robotic animals and insects found there. Menu selections range from pasta and burgers to steaks and seafood. Don’t forget to check out the dessert menu for the famous volcano sundae. The Rainforest Café not only offers an exciting dining experience but also offers educational tours and information on rainforests across the world, endangered species and conservation efforts.